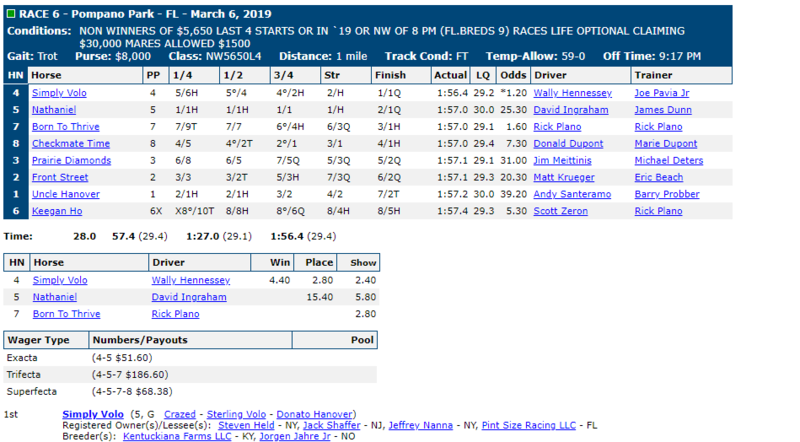 Home > Wins > Simply Volo wins at Pompano Park! Previous Post Big N Bad Wins at Pompano! Next Post Stone Hanover breaks his Maiden at Pompano!